Peas Please delivers 4.8 million additional portions of veg in its first year. Peas Please is a campaign that is coordinated by partner organisations in England, Northern Ireland, Scotland and Wales, and aims to bring together business and brands from across the food system to secure commitments to improve the availability, affordability and quality of the veg offered in supermarkets, shops, schools, pubs, fast food outlets and beyond. Peas Please has delivered 4.8 million additional portions of veg in its first year. In Wales, Food Cardiff has played the central role in delivering the Peas Please agenda, securing pledges from a host of big-name organisations in both the public and private sector. These include Castell Howell, Brains Brewery and pubs, and Cardiff and Vale University Health Board to name a but a few. The Peas Please progress report will be officially released today at London’s City Hall as part of the Peas Please Veg Summit 2018. There will be many other exciting announcements as part of this event so make sure you keep up to date on twitter with #peasplease. 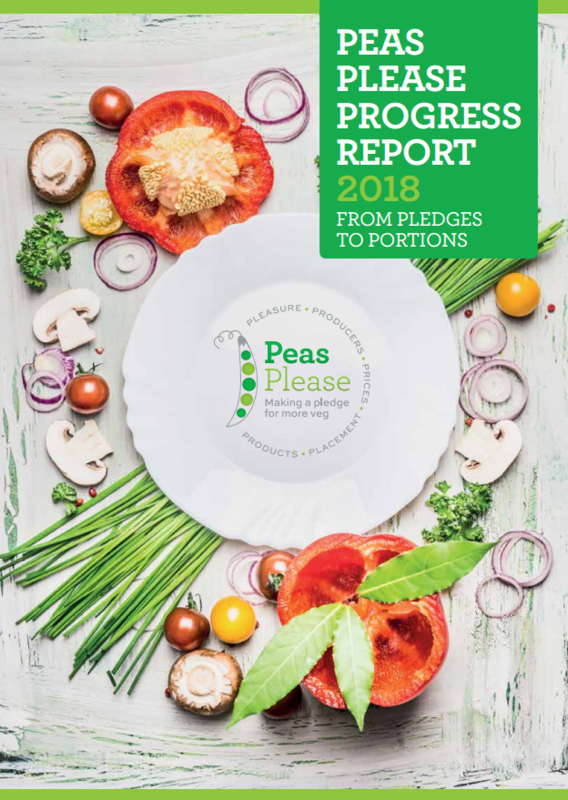 To read more about all the great work accomplished by Peas Please across the U.K., check out their annual report , which features the work done by key Food Cardiff partners on pages 18 through 21.